2016 Merlion Cup Schedule, Live Stream Info, Standings and Updates - Balita Boss! The Merlion Cup will be returning after a 20-year hiatus. 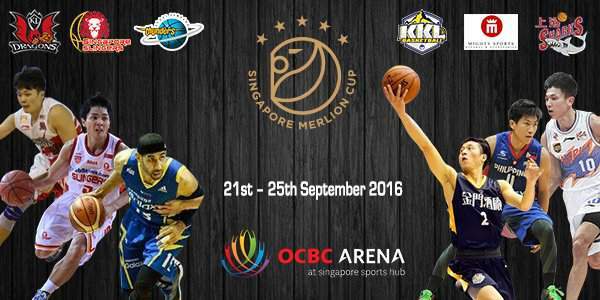 The 2016 Merlion Cup will take place from September 21 to September 25 at the OCBC Arena in Singapore. Six high level professional clubs will be competing in the invitational club basketball tournament. Here's the full schedule of games, live stream info, and results of the 2016 Merlion Cup. For latest updates, kindly check the Tweets about "#MerlionCup" .